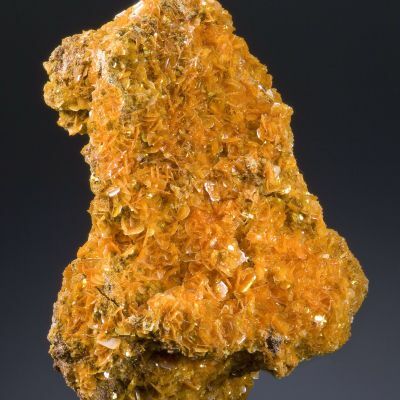 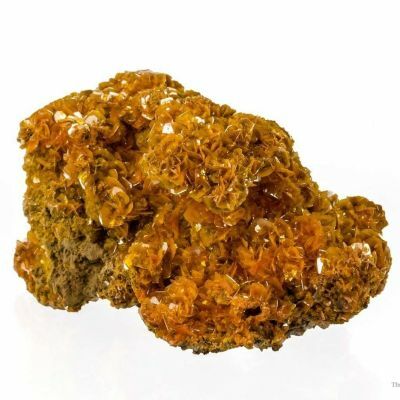 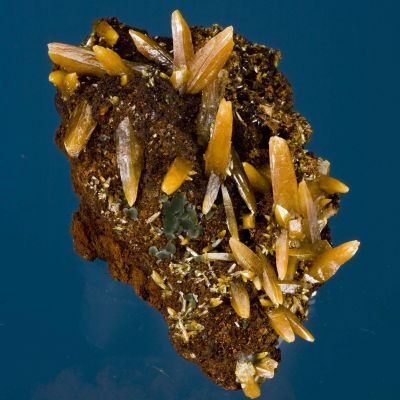 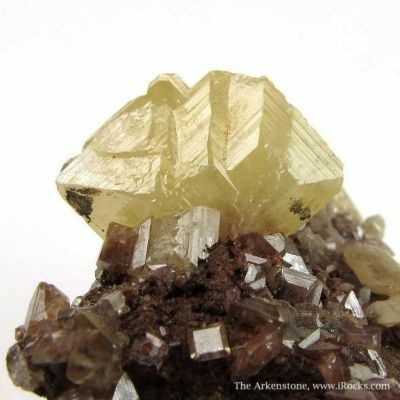 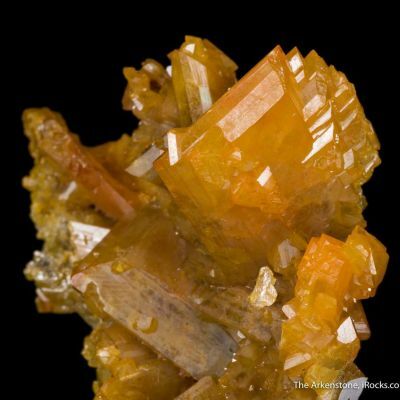 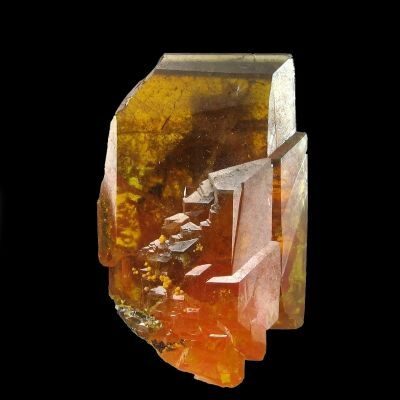 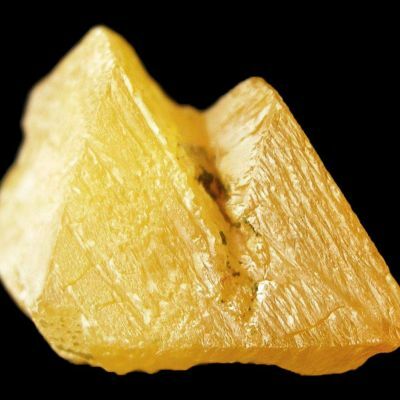 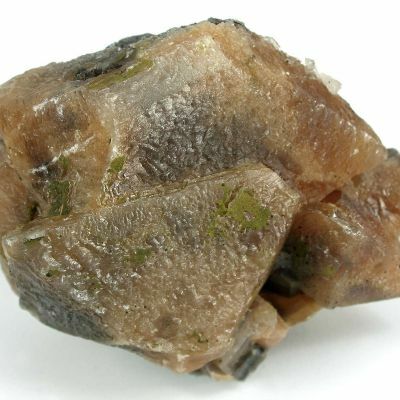 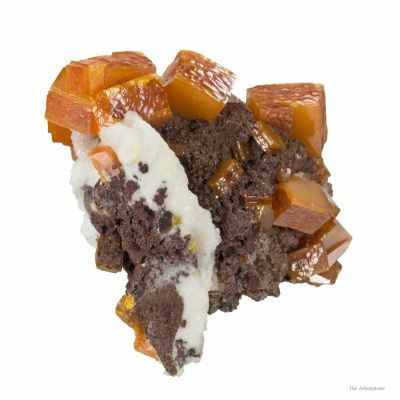 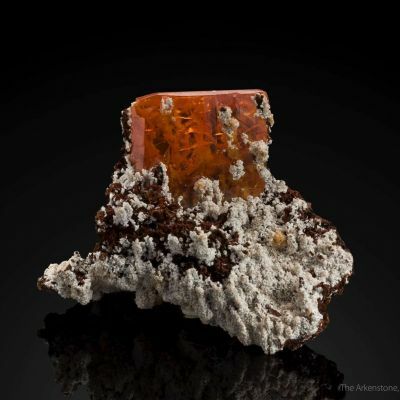 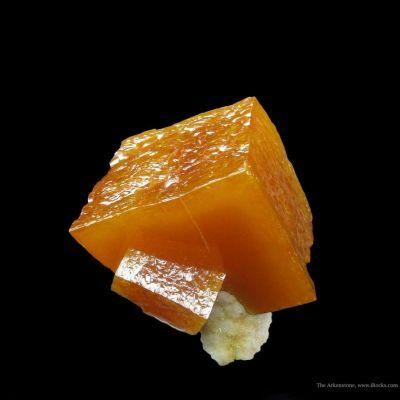 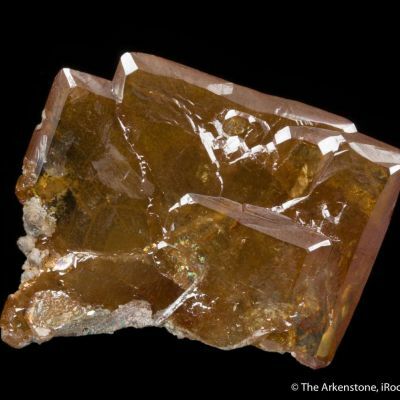 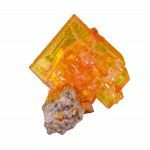 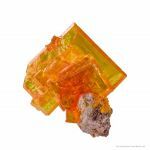 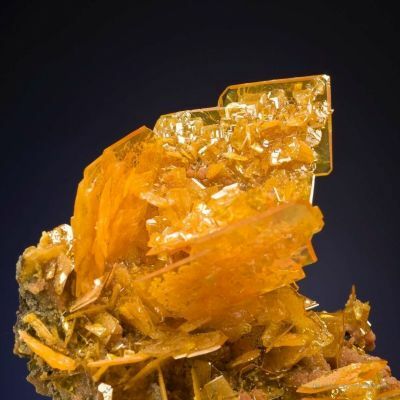 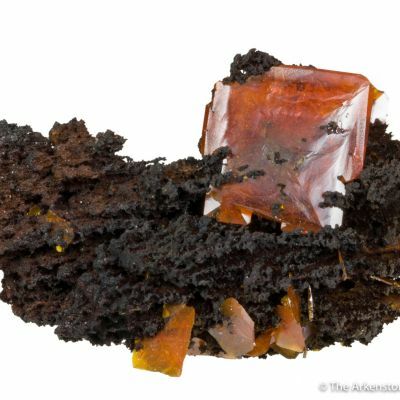 Beautifully perched on a sliver of matrix is a true "window-pane" crystal of wulfenite, measuring 1.5 cm across, that is glassy and gemmy with an orange-yellow color. 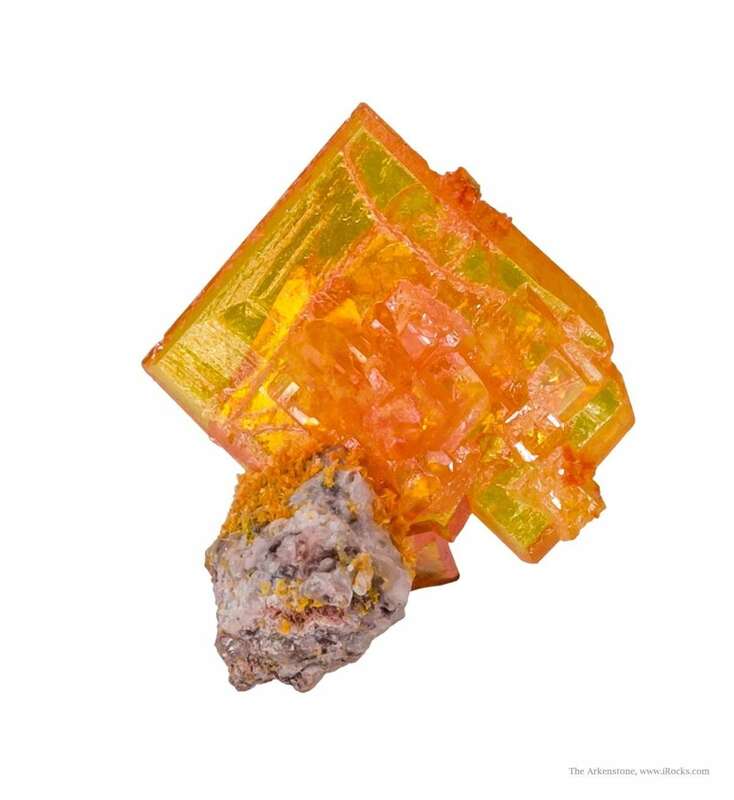 The color is saturated and intense! 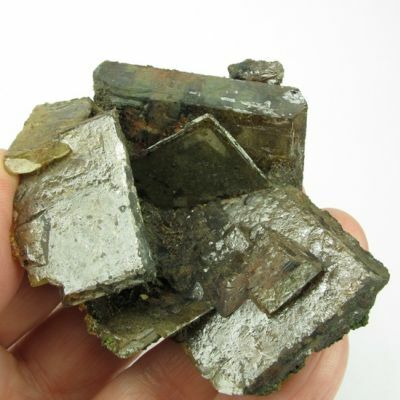 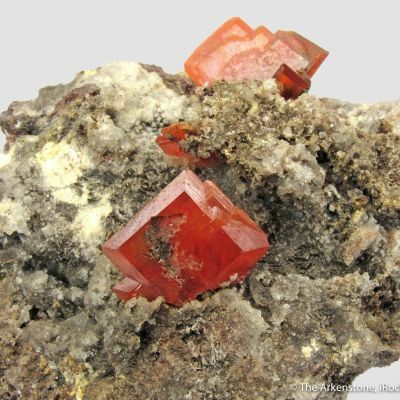 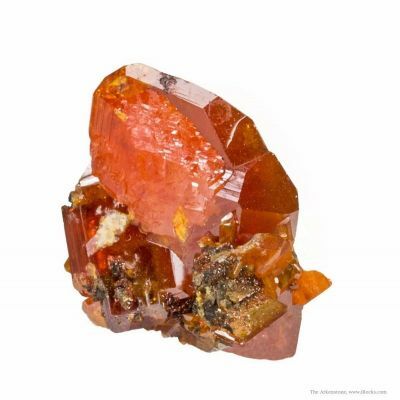 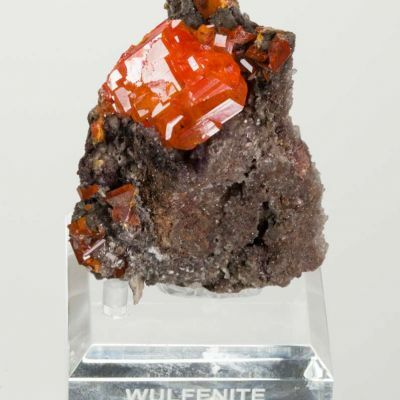 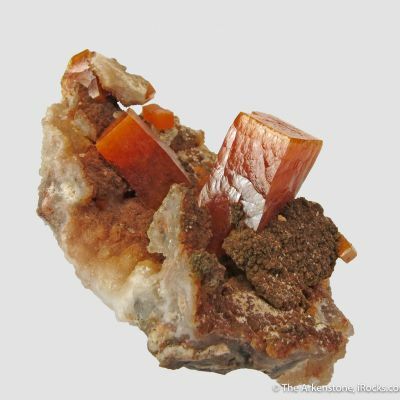 Adding to the beauty of the specimen are the vivid orange mimetite crystals, both on the matrix and included in the wulfenite. 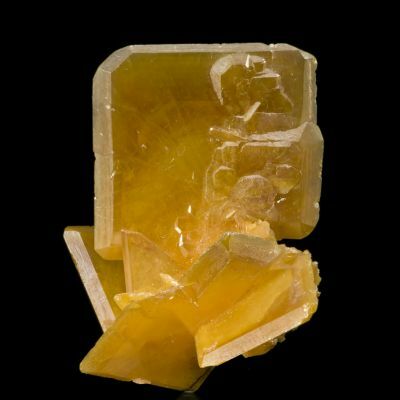 A classic from older finds here.